A 461-stall parking structure complements a 106,000-square-foot facility that includes a City of Hope cancer treatment center. TORRANCE, Calif., ––With medical professionals working inside to treat patients, visitors to a new clinic on Torrance Boulevard will feel better knowing they don’t have to search long or far to find a place to park. Providence Little Company of Mary’s Advanced Care Center, a 106,000-square-foot facility, recently opened with a 461-stall parking structure on a compact 6.7-acre site, the former home of a daily newspaper. The $80-million clinic in Torrance consists of 46 exam rooms, five surgical suites, advanced diagnostic and treatment modalities and a 25,000-square-foot City of Hope cancer treatment center located on the ground level. Programs in the new building include an orthopedic institute, genetic testing and counseling, a women’s breast center, outpatient imaging center and ambulatory surgical center. Rehabilitation services include aquatic, cardiac, hand, occupational, orthopedic, physical, pulmonary and speech therapy. Irvine, Calif.-based Snyder Langston Inc. was the general contractor for the three-story clinic and five-level garage. Bomel Construction Co. Inc., also based in Irvine, served as the garage’s concrete, rebar and masonry subcontractor to Snyder Langston. Scott Butcher, who managed the project’s completion for Snyder Langston, praised Bomel’s team. “Everyone was easy to deal with,” he said. “The schedule was hit with ease, which with a complex project like this, is a nice result. 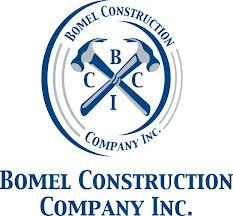 Unlike many ground-up projects, where Bomel wraps up its work before construction of an adjacent building gets underway, construction on the clinic began before Bomel’s work started, creating a congested construction zone. Multifamily complexes on three sides border the parking structure’s 4-acre footprint. The parking structure’s slab is slightly below grade, a strategy used to lower the garage’s overall profile due to its location in a residential neighborhood. The entrance and exit to the garage are on its south side. A driveway separates the clinic from the garage. A surface parking lot is also on campus. Bomel’s project team was led by Bill Godwin, project executive; Frank Bruce, project manager; Garret Hoffman, project engineer; Joe Crook, superintendent; Mike Alexander, formwork superintendent; Kirk Huffman, general superintendent and Michele Huff, project assistant. Choate Parking Consultants was the architect. Ficcadenti Waggoner and Castle was the structural engineer. Bomel received compliments by another Snyder Langston project manager for its performance during the entire job. “Bomel has been outstanding since day one of this project,” Chad Divine said when construction of the parking structure was in its early stages. Bomel Construction and Snyder Langston worked together to erect the largest office building completed in Orange County in 2017. Called The Boardwalk, Bomel served as Trammell Crow’s general contractor for the eight-level, 2,170-stall parking garage and subcontractor to Snyder Langston, the general contractor for the 545,000-square-foot Class A office building. Bomel’s scope of work on the building included structural concrete and placing and finishing concrete on the metal decks.